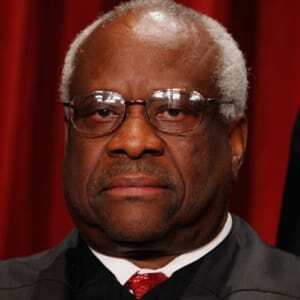 Justice Clarence Thomas of the United States Supreme Court is mostly known for his contentious confirmation hearing (which he likened to a lynching), for not asking questions from the bench and for his perpetually sour countenance. He can be counted on to vote with the conservatives on every issue. He is not considered to be a legal scholar and is not seen as a leader on the Court. Consequently, it is hard to know if what he says is newsworthy for any reason other than the mere fact he said something at all. On 2/20/19, Justice Thomas issued a concurring opinion in a libel case which said that the Supreme Court should reconsider its 1964 landmark ruling in New York Times v. Sullivan. In that case, the Supreme Court held in a unanimous opinion that a public figure who sues a publisher for libel must prove that something false was said about them; that it harmed their reputation; and, that the writer acted with “actual malice”. Actual malice is defined as the writer having actual knowledge that a statement is false or that the statement was made with reckless disregard for the truth, i.e., that the writer entertained serious doubt about the truth of the statement. Please bear in mind that this decision applies to public figures, not ordinary private citizens. According to Thomas, “There appears to be little historical evidence suggesting that The New York Times actual malice rule flows from the original understanding of the First or Fourteenth Amendment.” Thomas says the states have the authority to protect the reputations of their citizens and leaders as they see fit. “The states are perfectly capable of striking an acceptable balance between encouraging robust public discourse and providing a meaningful remedy for reputational harm.” As Thomas sees it, the Supreme Court’s decision in New York Times v Sullivan was “meddling”. There are many problems with Justice Thomas’ position. First, it should be said that grasping the Framers’ understanding and intent is not easy. Most people want to imagine they were a group of like-minded geniuses who were divinely inspired by God to write a document upon which they and God agreed. In truth, these men were not infallible nor clairvoyant and were not of the same mind on all the issues. As historians often say, “they were men of their times.” They did the best they could to draft a document that could be ratified and it is somewhat a miracle they succeeded in drafting a magnificent document that has stood the test of time. What Thomas suggests is, at best, enormously difficult and invites self-serving subjective determination of what was meant and understood by men who have been dead for over 200 years. Second, the press during the time period the Constitution was drafted could be vicious. Extreme partisanship was normal, yet the Framers decided to say the “Congress shall make no law… abridging the freedom of speech, or of the press.” It is hard to misunderstand the intent. Third, can you imagine what the media universe would look like if it had to comply with the libel laws of every state? Inviting state regulation of the press is asking for trouble. Fourth, is Thomas taking his cues from Donald Trump? Trump has repeatedly called for laws that will make it easier to file libel suits and he has repeatedly threatened to file such suits himself in order to intimidate critics. Or, is it possible that Thomas is tired of being characterized in unflattering terms? Or, because his wife has received some unflattering press, is he thinking of her? Fifth, where exactly is the “perfectly acceptable balance between encouraging robust public discourse and providing a meaningful remedy for reputational harm” that Thomas suggests? I suspect that Justice Thomas cannot define that bright line any more than he can divine the state of mind and intent of the Framers of the Constitution.